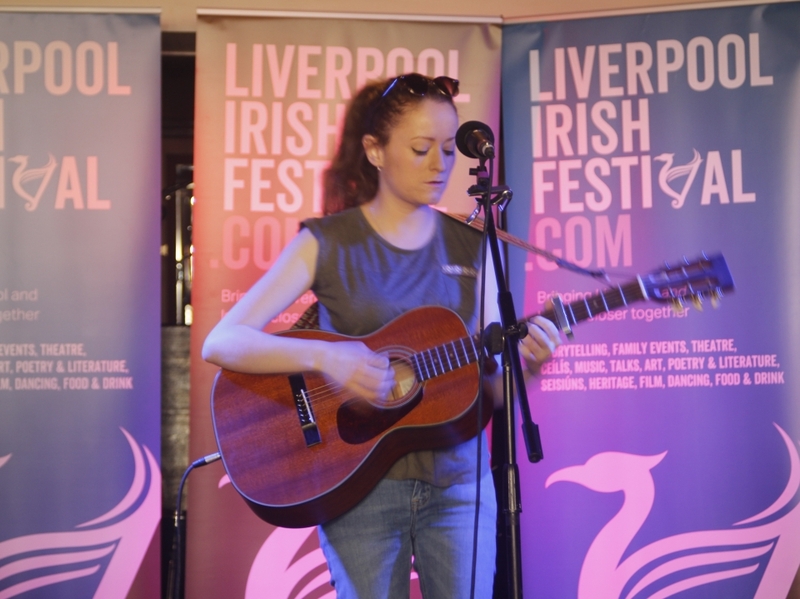 Each day, #LIF2018 will bring you talent from the Liverpool Irish musical community in informal, play along sets. If you have a bodhrán or a fiddle, a flute or a penny whistle and would like to play along, this is the place for you! Sponsored by Irish language television channel TG 4, and held in partnership with the Liverpool Everyman, this will all take place in the Street Cafe and Theatre Bar. It’s free to drop in to play (though not compulsory!) or you can stop in for a coffee, a pint or an afternoon snack, whilst soaking up the sounds of Ireland and skimming through our Materials Library. This is an incredibly informal affair and times are loose and easy. If people want to come along and play a little in between or after we would welcome it, in the spirit of joyful exploration and pleasantly unwinding afternoons! * These two events will also feature Jo Pue (fiddle/vocals) and John Walsh (guitar/vocals), a very talented Irish/Folk duo. musicians and audiences alike should makethemselves known to Jo and John! We are so grateful to TG 4 for their input and support of these events and to the artists for taking part. We do hope you’ll come along for a toe tap and an enjoyable afternoon.